Recently, the use of social software has gained enormous popularity in many organizations. However, despite its development from a trend topic to a well established technology, there is little theoretical study on how to measure the success of this kind of information system. Allowing for the unique characteristics of social software, the author assumes that existing IS success models are not applicable to social software without modifications. 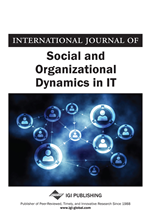 Therefore, this article aims to develop a model for measuring social software success, which is based on theoretic foundations and the findings of a multiple case study. Results show that existing models are not able to represent all dimensions which are relevant in this context. Especially social aspects related to the organization and the people within have to be taken into account. Recent studies have shown that social software is no longer just a trend topic, but is well established in many organizations (Ward, 2009). Furthermore, companies are continuing to invest in this area (Bughin, 2009; Keitt, 2010), and – according to forecasts – employees will extend their use of Web 2.0 technologies in the workplace (Herrell et al., 2010). The challenges resulting from this shift from a hype technology to a serious implementation in the corporate IT environment are multifaceted (McAfee, 2009). One of those challenges is to identify the impacts and benefits that the use of social software in organizations implies. Assessing the success of organizations’ information systems (IS) is always an extensive challenge. Nevertheless, existing models can provide a relevant framework. However, when different IS are examined, adjustments and modifications might be required to obtain a valid and meaningful instrument. As we show in this paper, this is also true of social software, which crucially differs from traditional IS such as groupware or ERP systems (Table 1).